Originally from Tur Abdin, Southeast Turkey, Dayroyo Elio Atto is now almost 80 years old. 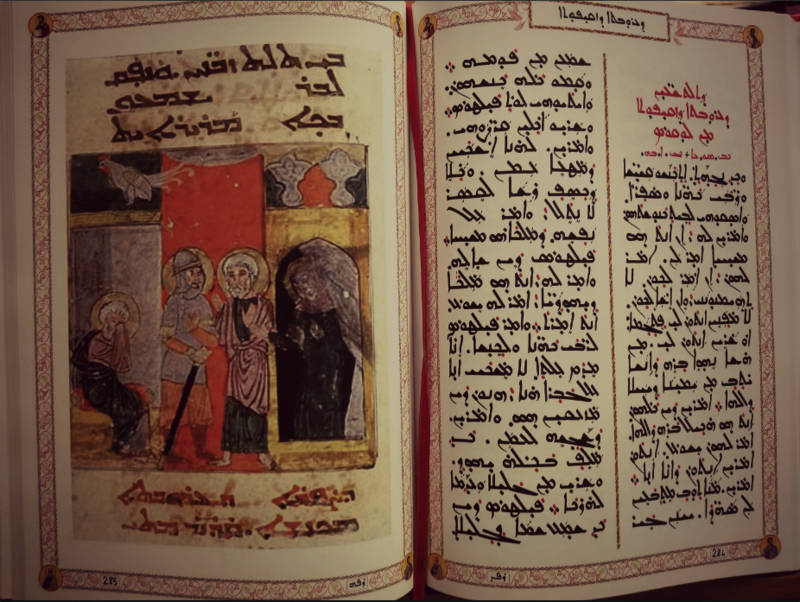 Shortly after his tenure in the military, where he became the first individual to introduce the radio transistor in Tur Abdin, he began to study calligraphy in his village and became a monk dedicated in service at St. Mark’s Monastery in Jerusalem. It was at this very monastery in the late 1970s where he taught Syriac calligraphy to an eager 13-year-old George Kiraz. 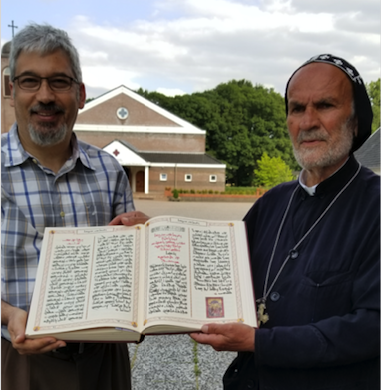 Dayroyo Elio Atto, Abbot of St. Ephrem Monastery in Holland & one of the foremost master calligraphers in Syriac, has cordially gifted thirty (30) copies of his Gospel Lectionary to the Beth Mardutho Institute with the commitment to fund our latest position: The Dayroyo Elio Atto Fellowship in Digital Humanities. 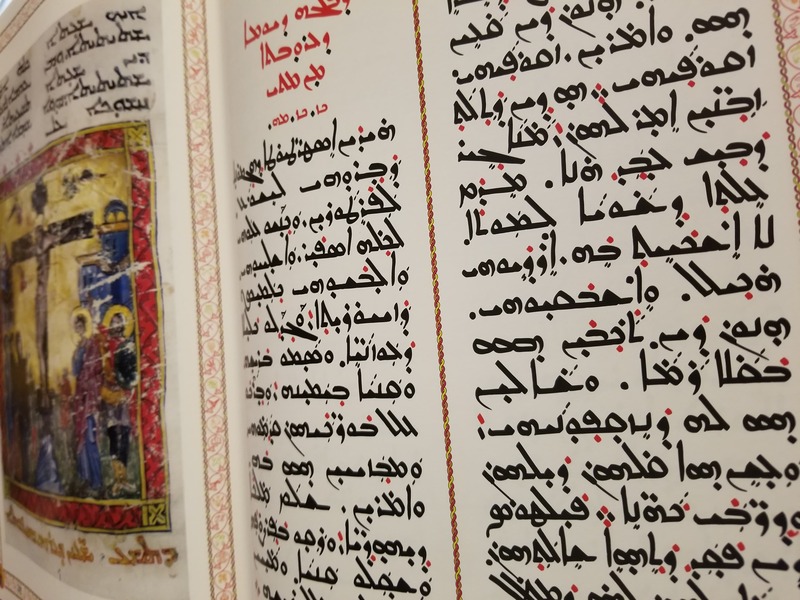 The proceeds of the Lectionary, containing exceptional artwork from illuminated manuscripts, will provide developing scholars and graduate students the opportunity to dedicate twelve (12) weeks at Beth Mardutho next summer. The 497 page Limited Edition Gospel Lectionary is available for purchase!